Westwood Village was the place to go during the 70’s and 80’s. Hard to imagine? Just think Santa Monica Promenade on a Saturday night. Westwood’s steady decline over the years is hard to miss with vacant storefronts on almost every block. The Hammer Museum’s *ArtsReStore LA project aims to revitalize Westwood Village by infusing its vacant retail space with temporary pop-up stores by hip local artisans and designers. My son and I ventured to Westwood last weekend to check-out ArtsReStore LA and we’re so glad we did. Here’s our list of must-see shops. Skateboards: Wondering how I got my 9 year-old to join me on this shopping adventure? One look at a window display of Loyal Dean skateboards and he was hooked. 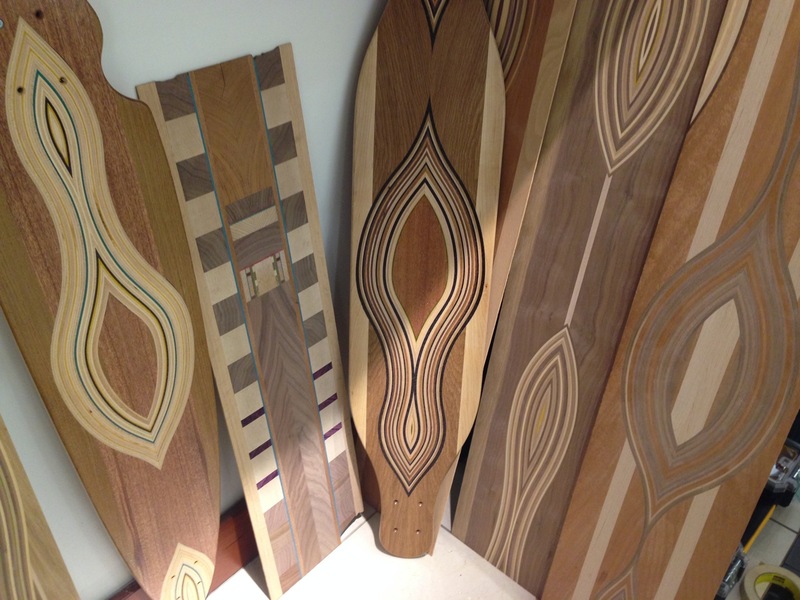 Benjamin Westley gave us a fascinating crash course on how Loyal Dean makes their cool handcrafted longboards (photo below). A Loyal Dean skateboard is at the top of my son’s Christmas list. Home Decor: I loved the design aesthetic of Bridgid Coulter’s “global modern” textile collection. 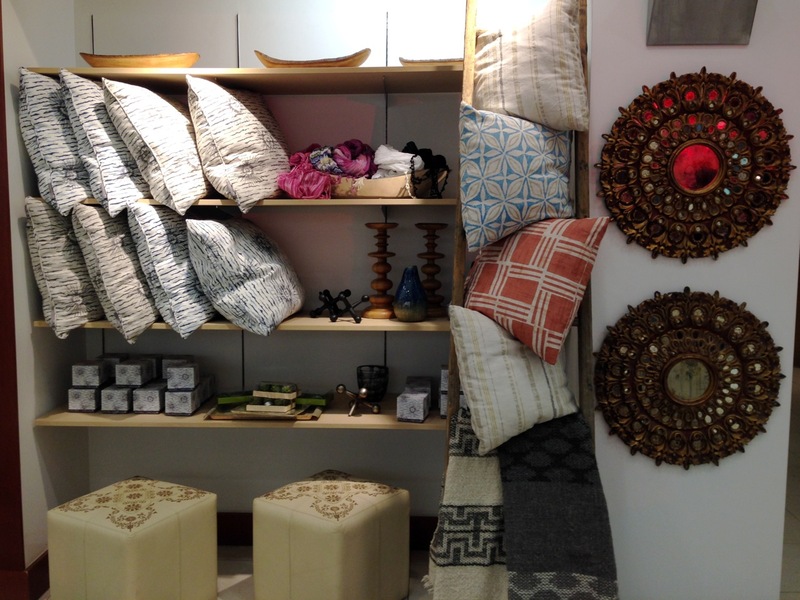 Her pop-up display includes home accessories and unique gifts made by local artists (photo below). Art: ForYourArt’s roving gallery space Give Good Art has a little of everything; from small gift ideas to framed fine art by well-known artists (photo below). Many fine art pieces for sale benefit local and national arts organizations including LACMA and the Hammer Museum. 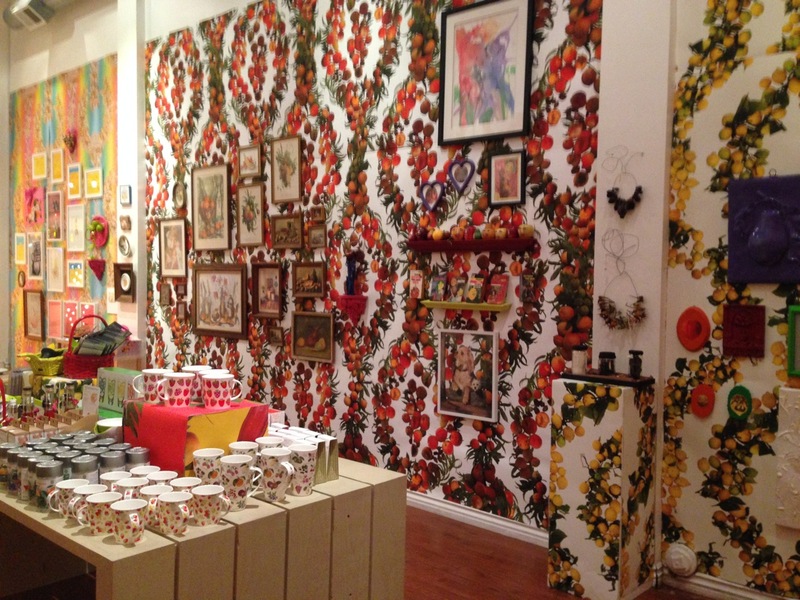 Fruitique: Part retail store, part art installation; the Fallen Fruit Fruitque is a feast for the eyes and just so much fun (photo below). David Burns and Austin Young’s shop features fruit-themed, one-of-a-kind, items by artists and everyday folks. Letterpress: But nothing could beat our visit to Iron Curtain Press, a letterpress pop-up shop. 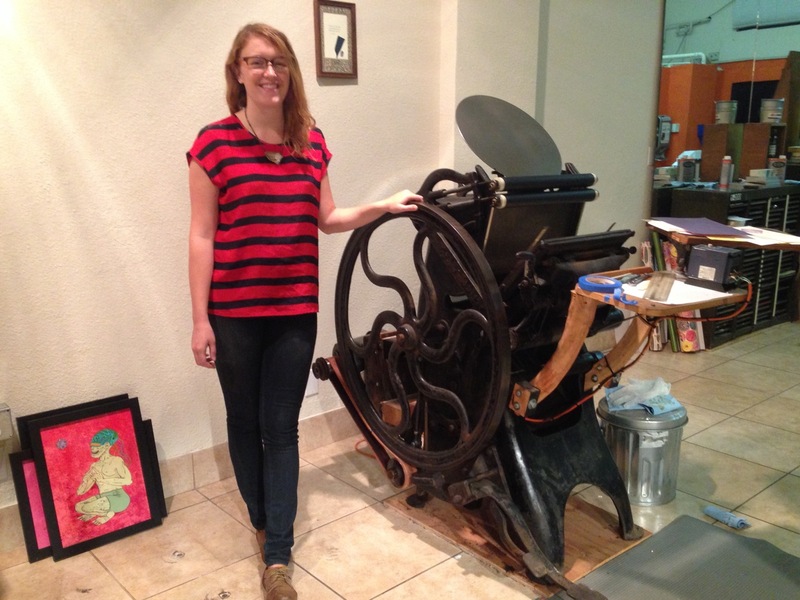 Owner Rosanna Kvernmo showed us how she designs and hand prints custom stationary the old fashioned way using a 130 year-old printing press (photo below). My son got a chance to trim some letterpress cards on an antique paper cutter (video below). You can learn how to print your own stationary at an Iron Press workshop. 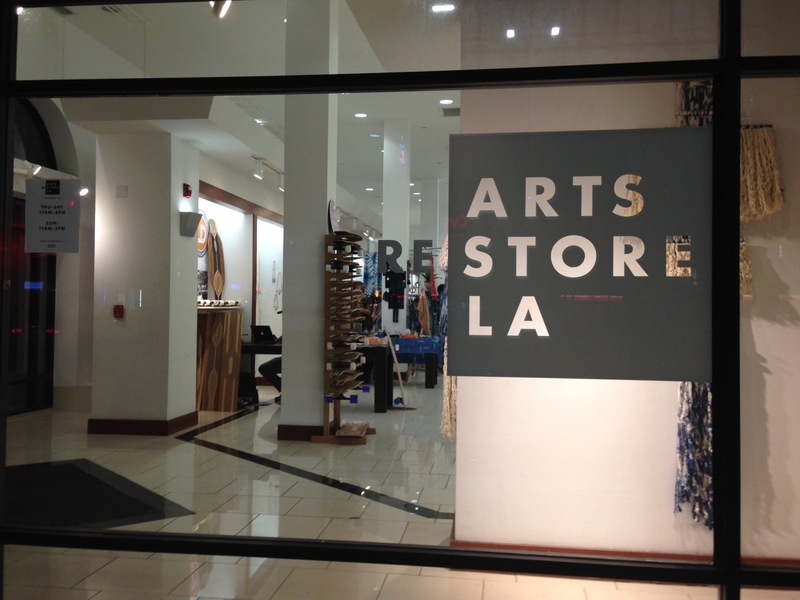 Visit ArtsReStore LA and see what unusual finds you’ll discover for your holiday shopping. But don’t delay because the pop-ups will only be open two more weekends (last day is Sunday, November 24, 2013). 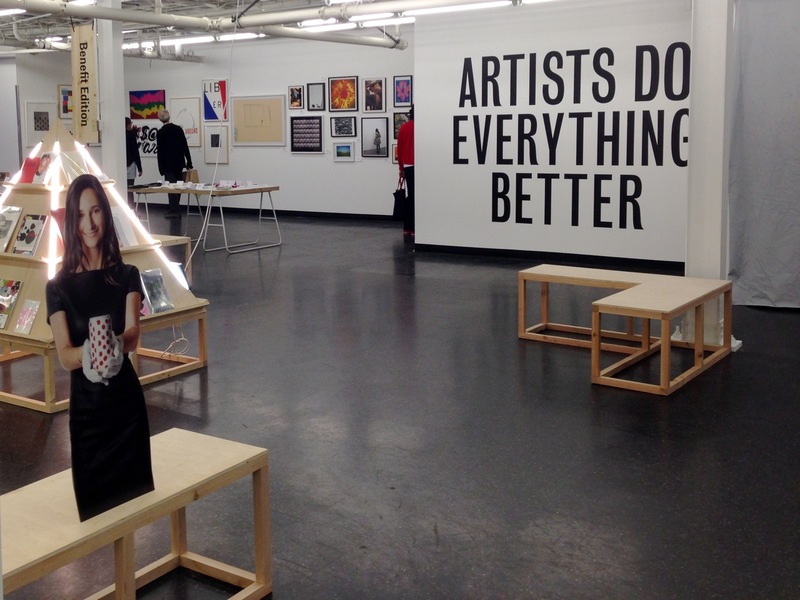 *Arts ReSTORE LA: Westwood is part of the Goldhirsh Foundation’s citywide LA2050 initiative. Where to Eat: TLT Food is located at 1116 Westwood Blvd, near all of the ArtsReStore shops. TLT offers a casual, fast, and creative menu with dishes made with local sustainable ingredients. We ordered tasty gourmet sliders and vegan tacos. We also recommend the Hammer Museum’s Cafe Ammo. Subscribe now and receive email notifications of my monthly art picks!